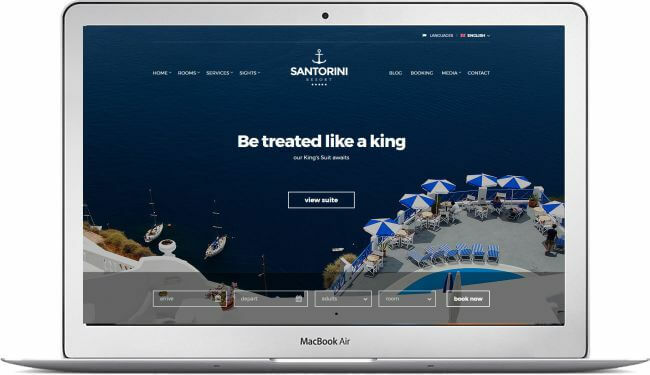 Booking Form – Let your visitors get in touch with you using Santorini Resort’s fully integrated booking request form. 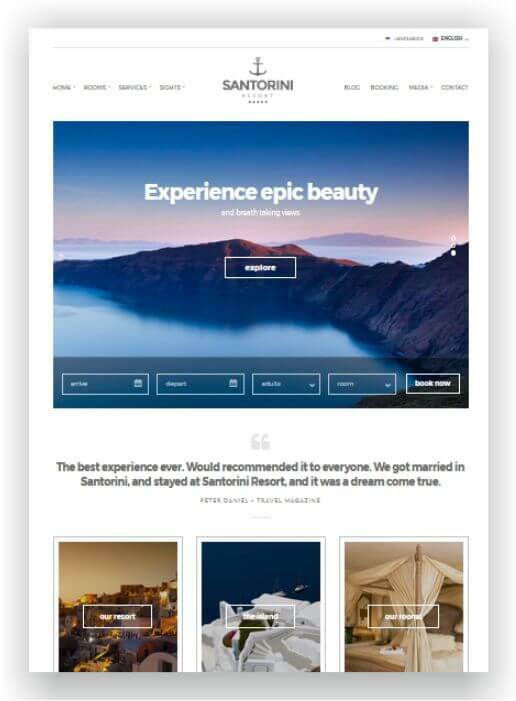 7 Content Types – Use the slider, room, gallery, video, services and attraction post types to describe your hotel in perfect detail and don’t forget all those great testimonials your guests left you, there’s room for them too. 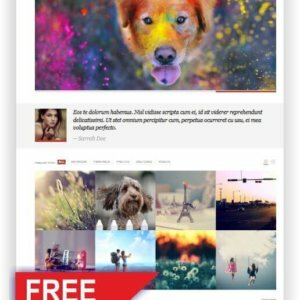 Flexible Homepage – Choose between a full or a fixed width slider and display any of your site’s content on one of the three widgetized areas of the homepage, using our custom widgets to create a unique layout. SEO Optimized – This Hotel WordPress themes will help you rank higher in search engines like Google, Bing or Yahoo! 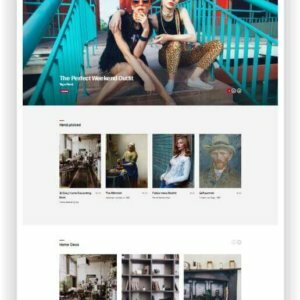 Use your favorite page builder – Elementor – The advanced Drag and Drop live page builder, The Divi Builder – A drag & drop page builder plugin for WordPress or SiteOrigin Page Builder – The free responsive WordPress page builder. 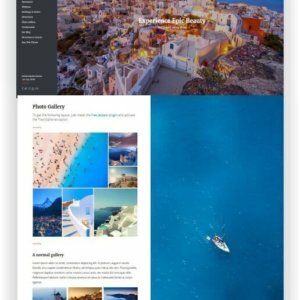 International – Like your guests, your site is also international. The site is, of course, completely translatable so that you can receive every guest in his language!